M Three is a Japanese girl group, a spin-off unit from Japanese favorite dance and vocal group ""Fairies."" Animated MMD characters will dance on their latest hit tune ""Your Love."" 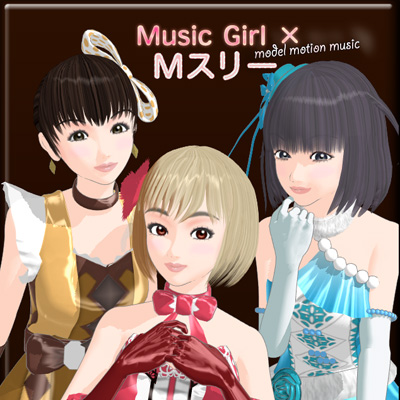 Their fabulous outfits are designed for this Music Girl app. Those nicely designed costume are cute and sweet; Mahiro with caramel chocolate, Miria with milk & strawberry, and Miki with mint chip. This package comes bundled with models, motion, and the song ""Your Love""